Ajay said, "I have been very lucky in that sense"
To enjoy continued success and stardom for over 25 years is no easy task and Ajay Devgn says his generation of actors was lucky to have a dedicated fan following, which is a rarity today. The '90s was dominated by icons like Ajay, the three Khans - Shah Rukh, Salman, Aamir - and Akshay Kumar who continue to be on the top. 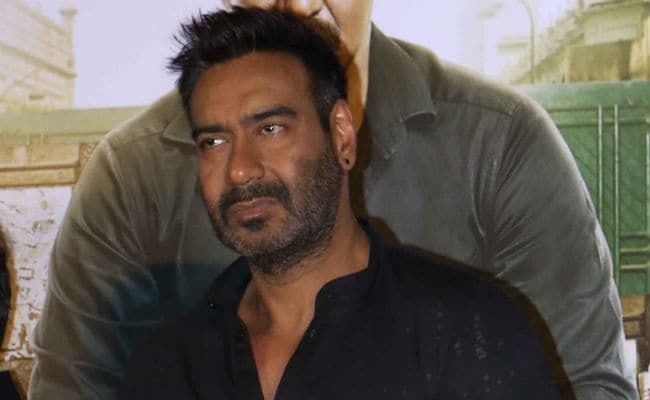 In a media interaction, when asked if his generation would be the last of the superstars to enjoy matchless adulation, Ajay said, "I think we were very lucky because when we had started work, the kind of fan following we got at that point of time, they were very loyal fans. Till today they maintain that and watch our films." "The new generation, who is watching films, they have become very sensible, smart and intelligent. They go by the content, film to film. This will keep on changing. They will decide if the film is good or not, it won't matter who is in the film," he added. The actor has been on a golden run with his back-to-back releases Baadshaho and Golmaal Again doing well at the box office. Ajay, however, said there was never a phase in his career where he felt 'lost,' "I've been very lucky in that sense. Everybody goes through a phase when films don't do well but someone analysed it for me that in my whole career, except for a year or two, there has never been a year when I didn't have a hit. May be if there are two or three flops, there has always been a hit. I've luckily never had a phase where I was struggling." "I like rotating my genres, doing different things. I did Golmaal now Raid, then a rom-com and then Dhamaal. I think I've been lucky. I've tried most of the genres and they all have worked. Otherwise, an actor starts struggling. He wants to break out of a genre and then it gets very difficult. It (trying new genres) has got nothing to do with the stereotype. It's about me enjoying my work and not getting repetitive and bored," he added. The film, scheduled to release on March 16, is inspired by real incidents and Ajay says the story - written by Pink fame Ritesh Shah - has been fictionalised to give it a cinematic treatment. While the film might have taken creative liberties on reel, decades ago, the actor recalled how he was at the receiving end of a real-life raid. "I've been raided once in the '90s. I didn't encounter it because I was shooting out of town. It went on for a day or two and in the end, they got nothing."